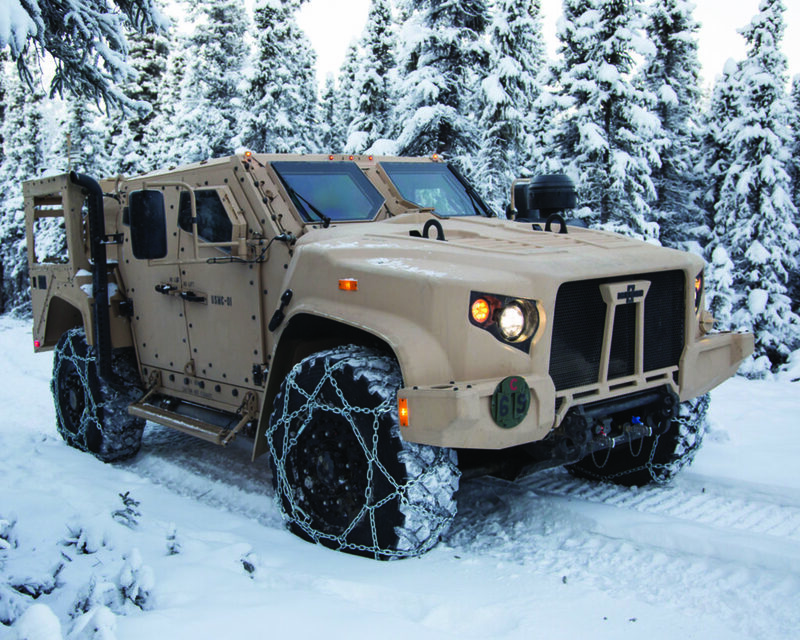 Oshkosh Defense, LLC, an Oshkosh Corporation company, announced that the U.S. Army has placed a $1.69 billion order for 6,107 Joint Light Tactical Vehicles (JLTV) and associated installed and packaged kits. Today’s delivery order marks the tenth order under the contract that was awarded to Oshkosh in August 2015. «The JLTV is engineered with industry leading suspension and protection systems, as well as the ability to support a spectrum of mission kits and weapon systems required for the modern battlefield», said George Mansfield, Vice President and General Manager of Joint Programs at Oshkosh Defense. «This vehicle represents a technological leap forward that provides enhanced protection and extreme mobility both off-road and in dense urban terrain». «The JLTV also features a Vehicle Integration for C4ISR/EW Interoperability (VICTORY) compliant modular, scalable, open architecture system to support rapidly evolving Command, Control, Communications, Computer, Intelligence, Surveillance, and Reconnaissance (C4ISR) suites», Mansfield continued. «This provides our Soldiers and Marines a vehicle that is capable of serving as a mobile command center. Today, other vehicles with this level of C4ISR capability are much larger, with little mobility». The JLTV fills a critical capability gap for the U.S. Army and Marine Corps by replacing a large portion of the legacy uparmored High Mobility Multipurpose Wheeled Vehicle (HMMWV) fleet with a modern light protected vehicle.